I was lucky enough to spend this Christmas in a cave. That’s right, lucky. And yes, the cave was dug into the side of a mountain but no, it wasn’t cold and damp. 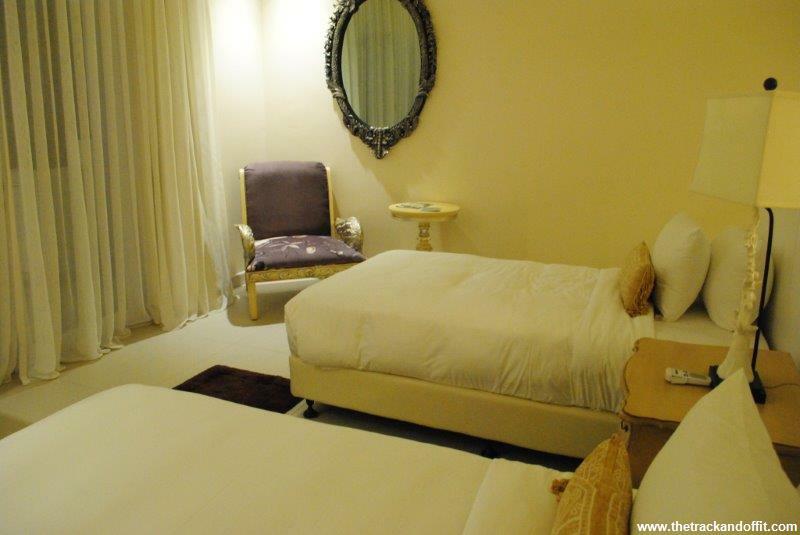 My cave was part of Fresco Cave Suites & Mansions, a luxury boutique hotel in Urgup, Cappadocia. Due to the winter travel schedules in Turkey, Barry and I arrived after a long, restless overnight bus from Antalya. 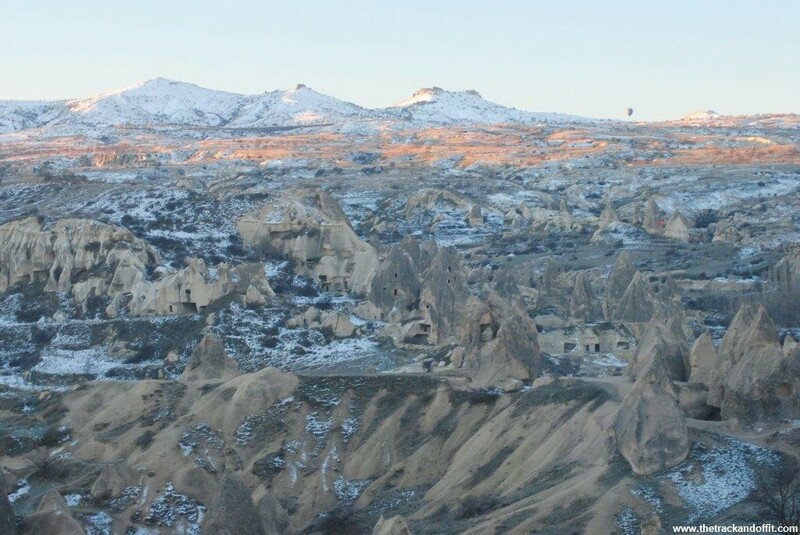 We had left the beach with the sun shining and arrived, many hours later, to a dusting of snow in the mountains of Cappadocia. 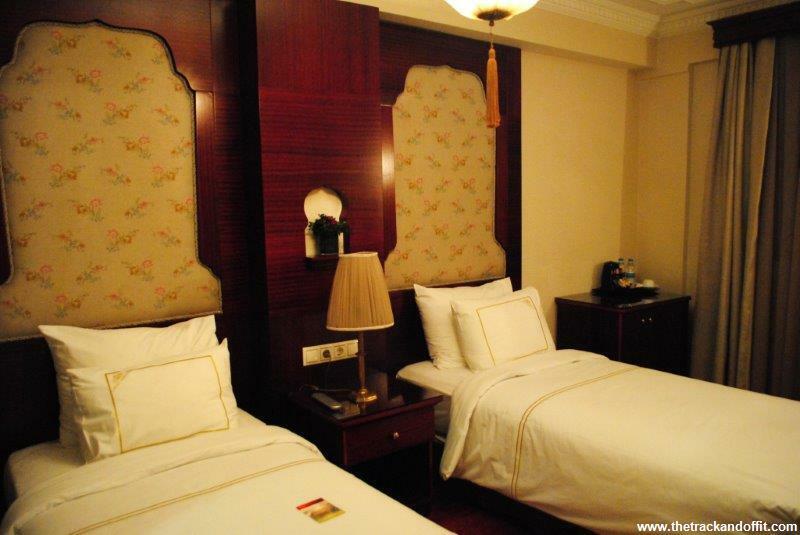 I’m now back on the hotel review trail and it feels nice. 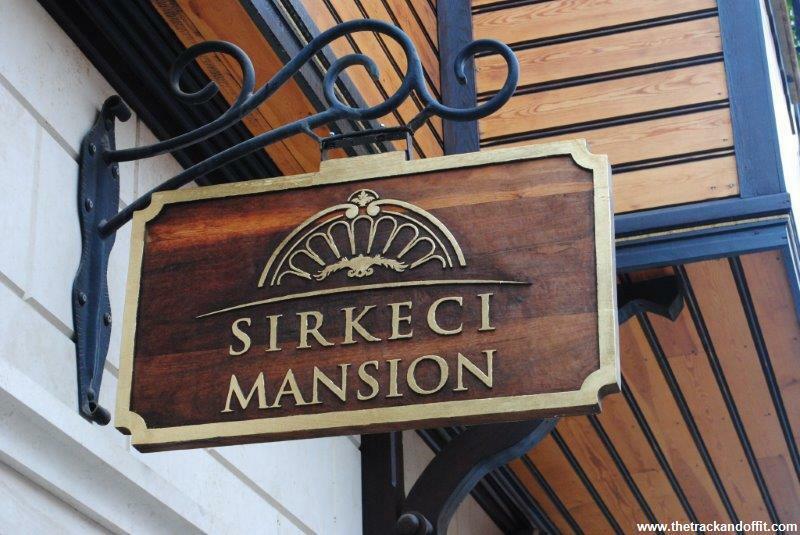 Barry and I arrived late in Istanbul after finally packing up the Edinburgh flat, but because of the very precise directions on the hotel website, I was not worried at all about reaching Sirkeci Mansion. The only worrying part was that I wasn’t going to spend as long in my next luxury bed as I would have liked! It was especially lovely to be greeted by name by the still smiling reception staff, despite the late hour. I love it when people greet me like an old friend they are expecting. The famed Turkish hospitality is evident and genuine – Barry and I were treated well during our entire stay. Despite the fact that my flight was two hours late, the driver from Cove 55, Malaysian Boreno, was still wearing a smile when he collected me from Kuching Airport for my latest Luxury and Boutique Hotels review. We drove along the coastal road to Damai beach and the hotel seemed to be in a secret location, nudging the ocean and under the view of Mount Santubong. We turned into a private driveway with unobtrusive signage. Although later than planned I had a very enjoyable night time swim with my friend Kate and gratefully collapsed in my comfortable bed. 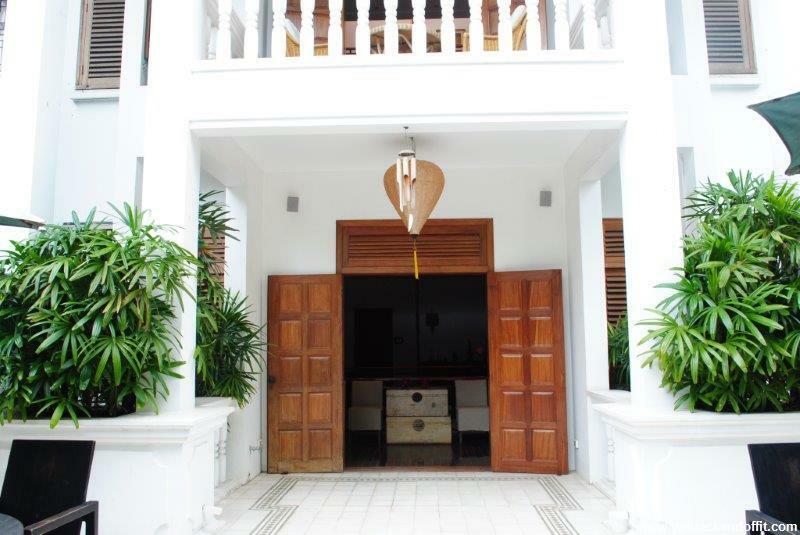 After staying at Samanea, Kep, and admiring such things as 15th century Myanmar ceramics at reception, I was excited to see what Belgian antiques dealer, Alain Garnier, had done with Governor’s House, Phnom Penh, his first foray into the world of luxury and boutique hotels. Camping in the Cardamoms. In Style. I love camping. I love the peace of being outdoors in nature. I love going to sleep with only a thin layer of fabric between me and the outside world. But crawling out of a tent to go to the toilet during the night can be annoying. Sometimes sleeping on the ground can make an old body ache. And camping in the rain isn’t always fun. 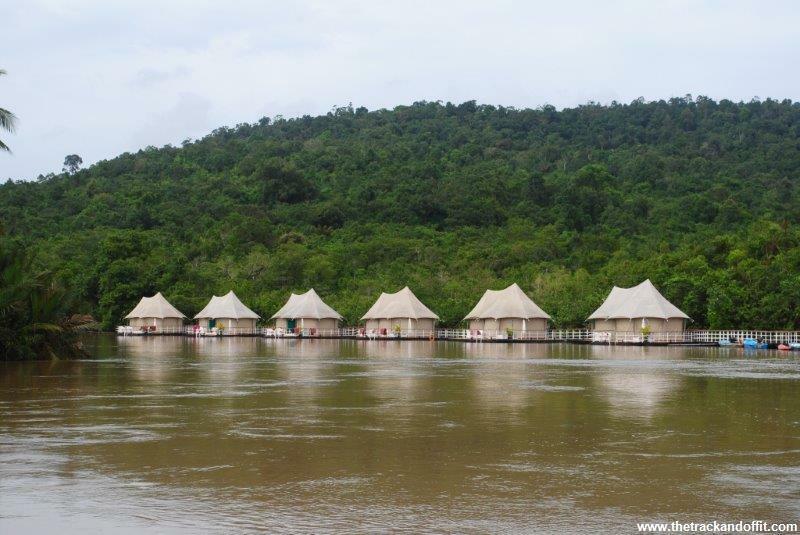 Luckily, during two rainy days in July, I had the pleasure of ‘glamping’ at 4 Rivers Floating Lodge. I was warmly welcomed. Twice. First at the mainland reception and then again about 20 minutes downriver at the floating lodge itself.